They nearly did it. The Indian cricket team nearly won the world cup in cricket. The women came a lot closer than the men. It’s been a week of women for England and India. For the English, our cricket team won. And at the BBC the women discovered so many were secretly being hugely underpaid than the men. 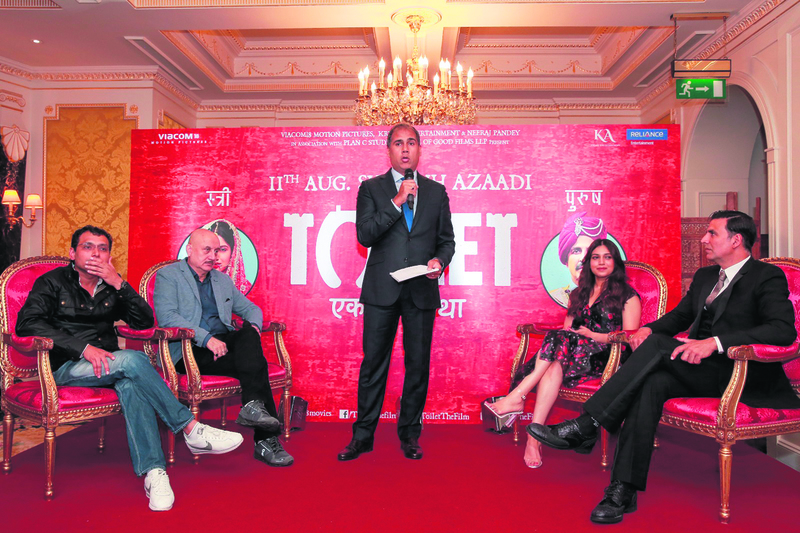 For me, I was I also hosted the UK press launch of Akshay Kumar’s new movie, Toilet. The fact is 60% of all women in the world without access to toilet facilities, are in India. And 50% of all sexual assaults and rapes in India happen when women are walking long distances to go to the toilet. It is easy for us in the West to lecture India. Actually, the Indian PM picked up on this issue, it was because of him Akshay Kumar did the movie. It takes a brave PM to choose this topic. Far easier to chest-beat and talk about nuclear weapons. But the Indian PM took the lead. And this is how political leadership works. The film raises the big complicated problem. That of the excuse of culture. ‘oh it is culture, that women cannot have the toilet in an area where we grow tulsi’. The problem with ‘culture’ is it is the same excuse used to oppress women everywhere, and the women, often unwittingly, will participate. ‘Oh it is culture to wear a full bourka’. ‘Oh it is culture, to earn less than a man’. Actually, that last one – that has become the British excuse. In the UK, the cultural oppression of women happens, just at a later stage – in the workforce. And women time and again, many of them, in the work force will not speak up. That is not their fault. It is they are just too often grateful to have the job to begin with. When women ‘unionise’ or the men join in in higher positions, that makes the difference. At the BBC, the women joined forces to tell the bosses, we all want higher pain. That is what is effective. I do the paper reviews on the BBC, and am up at 0350 to get to the studios and do them. And I am paid nothing – it is still the best job in the world. But I think the women asking for equal pay, should actually have asked for historic back pay too. Women should not just be asking for equality, but for all the historic injustices to be corrected too. The men will resist. Women will resist who are in power, to please the men. Don’t.